It isn't good news, I'm afraid! Venus suffers from being uniformly far too bright. It also has the problem that there is little or no detail to bring out. At the moment it is also very small through the telescope being on the far side of the sun, and no discernible phase. This was the best I could do a couple of nights ago. There are things you can do which might help with Venus. You can observe it in the daytime sky. That requires a well aligned goto mount or setting circles to actually find it. (The usual warnings about using a telescope when the sun is in the sky apply) Alternatively you can observe it at the earliest possible moment in the evening while it is still light, and it is still fairly high up. Wait until the sun is down, and then scan with binoculars. Try to observe with a transparent blue sky with no haze. Use a coloured filter. Yellow or orange helps to darken the blue and increases the contrast. A violet filter can help, but sometimes can over do it. Some details do come out with a violet filter, but a lot depends on your eye's sensitivity to UV. Dark red filters can sometimes sharpen the edge. A neutral density 'moon' filter can help. Use a barlow or higher magnification to dim the image. You can try to 'stop down' the telescope using a cover with aperture of half the diameter, or less. Venus this time around is not well placed, but it will get bigger, and with a better looking phase over the next few months. Zippy wrote: 2 days ago I studied Jupiter and saw its rings and 4 of its moons with a reasonable degree of sharpness. Last night I tried to view Venus but all I could see was a super bright white ball with slightly fuzzy edges. How can I get detail from my 8 inch GSO dobsonian? Do I need to cover part of the apature or use some kind of filter please? No you need to image and stack and then don't expect much. You need to google "X" through a telescope "X" being the planet you want, then look at images on google to see what you will "see"
Venus is notorious for being featureless - there is pretty uniform cloud cover, and not enough rotation to give rise to any discernible bands or features as we see with Jupiter. Some people use coloured filters to bring out detail - here's a chart that suggests what filters may help with the different planets and their features. I've not used a filter with planets, so can make no comments on how well they work, but would point out that vendors have an interest in making you want to buy more stuff. If you can link up with a local astronomy society, you may be able to find someone who can lend you a few filters to see if they work for you. Unfortunately, the other planets are poorly placed for observing for the next couple of years, as they at opposition during our summer months, hence will have the same low altitude as the summer zodiac constellations. With the planets at low altitude, you'll be observing them through a lot of atmosphere, so the basic quality of the image - irrespective of the equipment you're using - will be poor most of the time. Occasionally you may get a period of still air, where you can make out more detail than average, but those times are fleeting. It has to be said though, that you can train your eye to bring out details. When you're used to nudging your Dob from time to time to keep the planet in view, it's worth sitting and simply observing constantly for 10 minutes or so. As you do so, you should find your ability to see details in the image improves, and you should see how the image varies in quality with time, sometimes worse and sometimes better. Take advantage of those 'better' times so see the fainter details. Quite often they're subtle, but your eye can learn to pick them out. I suggest sitting to try and do this, simply because it can make it easier to keep your eye comfortably at the eyepiece for the length of time needed. Hope this helps - and it's good to see you're able to post elsewhere on this forum. Last edited by Gfamily2 on Sun Apr 22, 2018 8:33 pm, edited 1 time in total. Venus: Devoid of markings this planet requires color filters to increase image contrast. A deep blue filter (W46, W47) is useful to reveal the very low contrast shadings in its atmosphere. Since Venus is extremely bright a filter is necessary to cut down on its intensity and reduce irradiation in the observers eye. Venus is often observed in the daytime a red filter is used to darken the blue background sky and increase contrast as well. Thanks Guys, for the suggestions, most informative. 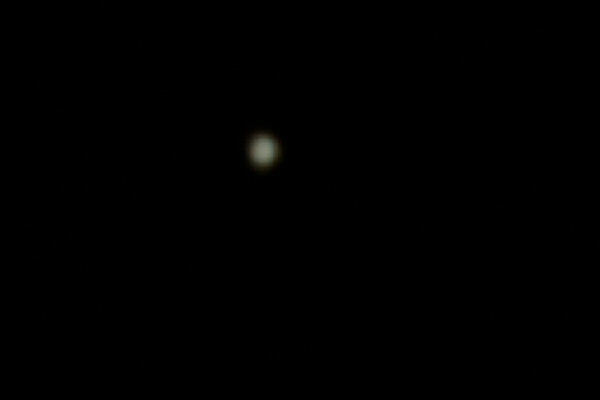 From what I have learned, I think I actually had a good image of Venus, despite seeing no detail. I feel better now, as before I thought I was doing something wrong. I like the link that Gfamily posted and book marked it so I can print it out for reference purposes. Most disappointed to hear it will be several years before planetary observation will be at its best. I guess it is just bad timing on my part to resurrect an interest in Astronomy. I should have stuck with it because over the past 50 years I must have missed some awesome sights. But back in them days none professionals only had toy scopes and there was a lack of support compared to the modern connected world of today. Back then my main reference was the sky maps obtained through being a member of the UFO moon base alpha fan club lol. Thanks EIZO, that link is also most informative. I did do a Google as you suggested and I found this following overview which provides pretty similar info to what you guys have provided me with already. What impressed me about this article the most is the way it was written in layman terms so that a newbie like me can understand the technical principals. In particular it helped me understand the reason behind the importance of contrast. And while I originally felt using coloured filters to improve a photographic image was cheating, I now realise it is more about being selective of what detail you actually want to see. And if a coloured filter gives you a tinge that you consider unnatural, you can always use a monochrome camera with it. The explanation of how a Narrow Band filter helps to show the detail from a nebula, was interesting too, but these specialist filters sound expensive, so it may be a while before I am ready for deep space.